One of the East of England’s much loved rides, the Cannonball Express roller coaster, will be taking an extended break from gliding around the tracks as the attraction has been undergoing maintenance that will continue into the start of the season. 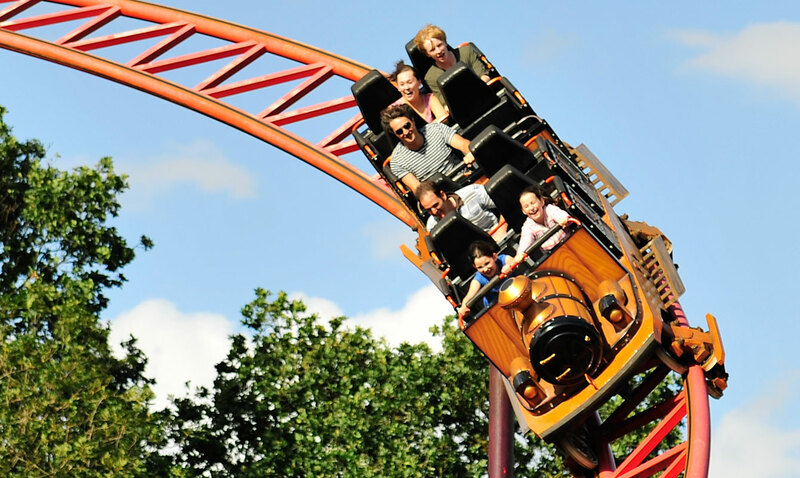 The Cannonball Express is one of Pleasurewood Hills all-time favourite, much loved attractions. For those that may be unaware, the great thing about the Cannonball Express is that it is unique, being the only one of its kind in the entire world. It was the only Schwarzkopf Jumbo V roller coaster ever made, and it takes pride of place here on the East Coast. As it is one of a kind, when it comes to servicing and parts, it is truly a specialist task. The works are being carried out in Boston Lincolnshire and they include new carrying wheels, new drive swords as well as the installation of a new air tank. Also included are the installation and fitting of brand new wheels, all of these will allow the Cannonball Express to operate in the rain, so if the heavens decide to open, the fun will carry on. While the Cannonball Express is taking some extra time off, the park’s other roller coaster attractions Wipeout, Marble Madness and the all-new Egg-Spress will be operating from the opening on 6 April. We look forward to the fast twists and turns of the Cannonball being open in May.